Home Decor is as easy as changing your table decor. Fountains, idols and figurines, candles and fragrances, wall décor, little wallpaper, vases, garden, table decor, lamps, clocks, paint; a few colourful accents can make a big difference in your home furniture. Just add traditional and modern home decor accessories according to your choice and pep up your home decor. After all, your home decor reflects your taste. 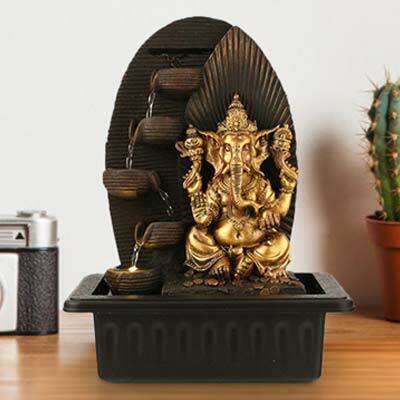 HomeTown brings you endless number of home decor products such as Pristine Standing Buddha, Vanessa Set of Top Glass Candle Holders, Polyresin Ganesha, Peacock Figurine on Stand, Embellished elephant figurine, speak peacock figurines, budha heads figure, safe assorted bonsai, sterling decor birds, mason jar, and many other beautiful home decor items. Caring for your home decoration items, at HomeTown, we bring you a rich online collection of decorative items such as rich shades, traditional designs and modern patterns. With us, you can avail a variety of home accessories and the latest home decor items that will spark up your room as well as coordinate with the ambiance. You can buy decorative items that will set your apart, and let you feel exclusive. Our house decoration items are simple but elegant, affordable and stylish. You can simply add a beautiful wall clock or mirror to the empty wall of any corner and the room will look different. 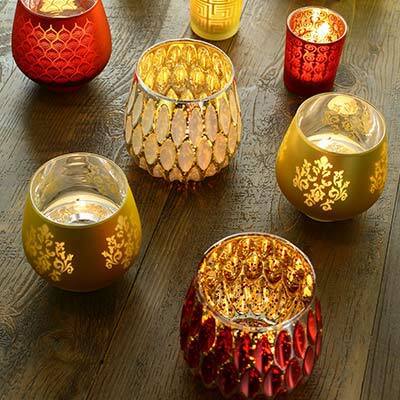 You can also pick tea light or exquisite candles holders to bring an alluring fascination to the interiors. You can instantly transform your home by decorating it with the right kind of house decoration items. Before starting with home decor online shopping, set a theme for your home decor and beautify it with products that will perfectly fit in. Include matching rugs and carpets, throw in some complimenting cushions, place statues and sculptures, give a personal touch with photo frames and get nature inside your house by including natural plants. Here are different types of home decorating styles you can create to your humble abode. Contemporary style: Do you want a style that can reflect simplicity with elegance, then contemporary style is what you should look for. It will also add a modern vibe to your living area. Make your space as clutter-free using subtle, smooth and neutral design elements to it. Bohemian style: Bohemian home decor style is all about free expression. Embrace rich, colorful collections and unconventional displays. Coastal style: Do you want to have holiday feelings in your home – like the beaches, the sun and the vast ocean. Give coastal style to your home. It lets you cherish warmth feeling that would be pleasing. Focus more on light and natural shades. Choose home decor items at HomeTown with a more nautical feel to them. Cottage style: Attain coziness and charm with cottage style. Based around the simplicity of things, this style portrays the fullness of life. Put many ragged, mismatched yet treasured indian home decor pieces to decorate your room. Eclectic style: Enjoy the freedom of expression, breaking rules and practice mixing and matching. Combine the fragments of other styles and stir them together in one single space. Traditional style: This style gathers inspiration from the colonial era. Add warmth and familiarity to the entire living space with this style. Symmetry and balance play a vital role in this kind of style. Industrial style: Industrial home decor style is quite textural, giving you an opportunity to embrace crudeness and bits of jittery hardness of primitive surroundings. Use grey shaded home decoration items to your space along with some refurbished and worn down elements. Minimalist style: Enjoy aesthetics of elemental simplicity with Minimalist style. To create it, omit everything unnecessary in your room and make every detail count. A minimalist space essentially comprises only those elements that let you attain maximum decor effect. Tropical style: Hug the tropical style and reflect the ease, freshness and relaxation. Bring home the feel of a seaside paradise. To get the style, choose natural materials and bold and vibrant colors/patterns, as much as possible. Rustic style: Let your home portray the organic, earthy way of life and bring an unsophisticated feel to your space with rustic style. Choose raw wooden home decor and furnishing alongside earthy rugs and carpets to achieve this style. Styling your home interiors seems easy, but is often an overwhelming task. Adopt these simple basic ideas of different styling layouts to make more sense of which home decoration item goes where. Consider these styles when decorating your home interiors and make your space fabulous and comfy. Set a theme and select the home decor items accordingly. Change the themes and let your humble abode have a fabulous makeover. You can do this by choosing table mats, colored cushions, home decor lights, home decor flowers, paintings and bringing vibrancy and colors and add them to your home decor. Doing shopping for decorative items at HomeTown is quite easy and affordable as you can get many discounts and offers on your order.